There is an ongoing debate concerning the benefits of bottled water versus tap water. Bottled water is everywhere, in homes, offices, stores, airplanes, and restaurants across the country. It’s convenient, hydrates, taste better than some tap water, and a lot healthier than sugary juices and sodas. But the safety of the water, and the package it comes from is becoming more of a concern every day. The type of water you choose to consume is a personal decision, but there are many factors to consider when making up your mind. Most people drink both bottled water and tap water. In fact, many bottled water companies rely on safe, clean tap water to use in production. bottled water is regulated, but it can get blurry. The EPA regulates tap water while the FDA regulates bottled. 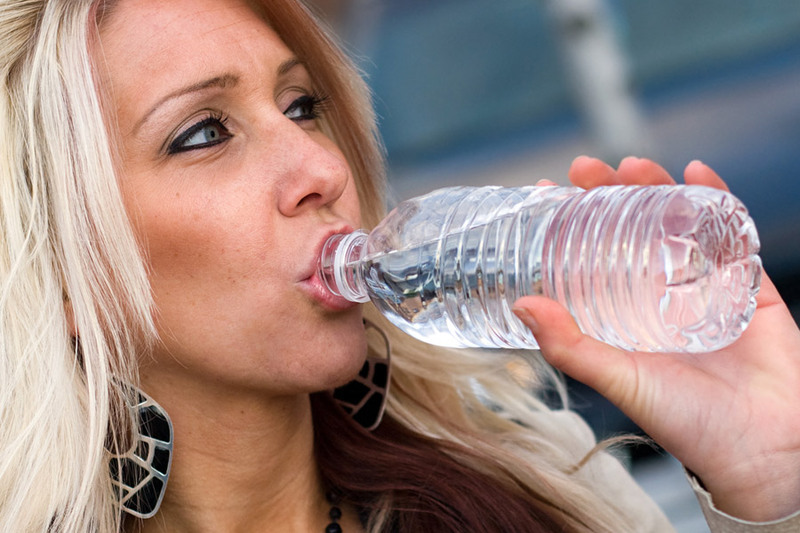 The FDA ensures that bottled water is free of harmful chemicals and contaminants. However, the FDA does not oversee water packaged and sold within the same state, leaving the responsibility of testing to the state. The FDA does require bottles to regularly test for contaminants, but to ensure the product follows the laws and regulations is the manufacture’s job when processing bottled water. Whether water travels through a pipe to your home or comes in a bottle, safe drinking water is essential to good health. Phthalates are chemicals that can be found in bottled water over time, and when stored in warm or hot temperatures, plastic may leach chemicals into the water. There are regulations limiting phthalates in tap water but there are no legal limits for phthalates in bottled water. However, recent research has shown that plastic in water bottles are generally safe. The environmental Protection Agency encourages all to learn more about the quality of their drinking water. Convenience – Tap water at home or bottled water when you are on-the-go. Safety – Regulated by FDA (for bottled water) or EPA (for tap water). One of the biggest safety concerns for bottled water is the length of time it has been in the bottle. Also, Bozeman’s tap water that has fluoride which can be a health concern but also can help prevent cavities in teeth. Storage – Better to have glass or PET (polyethylene terephthalate) plastic, and stored in a dark cool place. Cost – Always a concern…what are you comfortable with? Overall it is a VERY controversial topic and there is a lot of debate on what is better for you to drink. There are no current standards for labeling bottled water, but you can always look online to see how the purification process or bottles are stored and how long before they are sold to you.